He also spoke about the ongoing Test series against England. Jason Holder holds the distinction of the becoming the youngest to captain a Windies side at the age of 23 years and 72 days, as the West Indies board sacked Dwayne Bravo four years ago. Since then, the Caribbeans have seen many ups and down under his captaincy in all the three formats. West Indies reached the quarterfinal stages of the ICC World Cup 2015 in Australia and New Zealand. Since then, they have lost Test series both at home and away to many teams like India and Bangladesh to be significant and had to play a qualifier tournament to make it into the 2019 ICC World Cup in England and Wales. However, he has bounced back in style, defeating England in the first two Tests of the three-Test series at home by more than 300 runs in the first and by 10 wickets in the second. Suspended for the third Test due to slow over-rate, Jason Holder got time to talk about many things in an interview with Sky Sports. “It will take a lot of hard work and we need to be honest about where we are and where we need to be. If we plot a clear path as a unit and individuals, nothing is stopping us from being the No 1 in the world. We are trying to get fiery fast bowlers back into West Indies cricket,” added Holder. 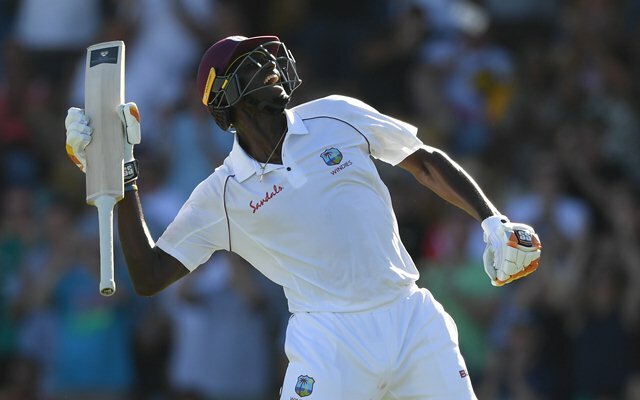 Talking about the current Test series against England, Jason Holder said that the England team was extremely surprised with the consistency the Windies side has played within the series. “Before we succumbed to pressure – you felt that if you bogged down the West Indies team as a batting unit, you may be able to get under their skin and get wickets, so what we have spoken about a lot is not having wickets fall in clusters,” said Holder. West Indies had won only two Tests out of their 15 Tests before England came to the Caribbean. He talked that he would get inspired by Joe Root, who would persist with Anderson and Stokes even when the team was down, but he knew their experience will get him wickets now or later. He also said that beating a team ranked higher than them is a huge achievement and can prove to be a turning point for the West Indies team.